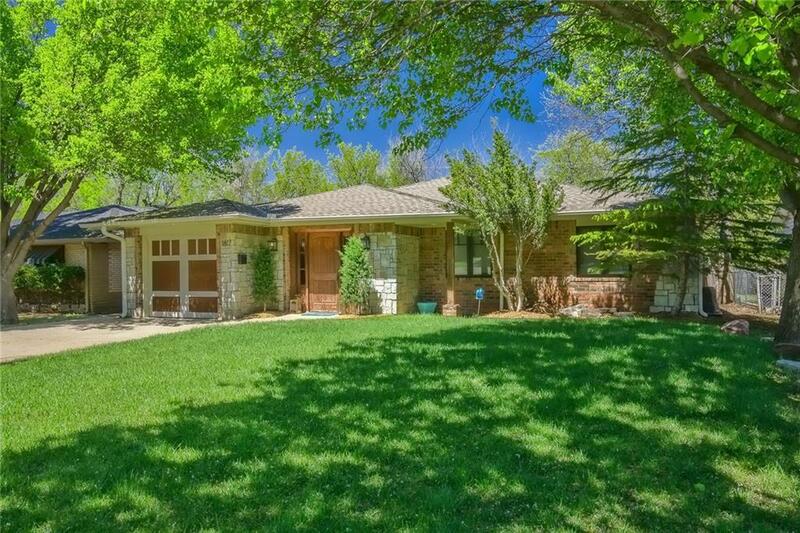 Fantastic remodeled one level bungalow in Nichols Hills with tall ceilings, lots of windows and loaded with perks --- gorgeous wood floors, open kitchen/club, granite counter-tops, stainless steel appliances, large living that can accommodate 2 seating areas (or use one as a formal dining)! Master bedroom is large with glass doors to the back patio, large master bath with tub and shower + a large walk-in closet. The master bedroom area includes an ensuite study. Super cool floor plan. Great large yard with sprinkler system.